Adobe Training Workshops: WJEA is pleased to present two days of hands-on training for media advisers and students in Adobe Illustrator, InDesign and Photoshop. Space is limited to 30 participants for each session. Both students, teachers and media professionals are welcome. 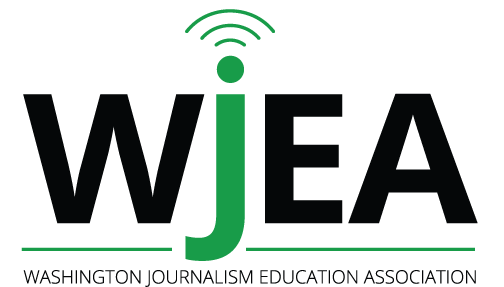 State Conference & Write-offs: Newspaper, yearbook and broadcast learning sessions presented by professionals, and student contests in a range of journalistic skills are offered at this one-day statewide conference in March. This year’s conference is Saturday, March 16, 2019 at Cleveland STEM High School in Seattle. JEA/NSPA National High School Journalism Convention: These conventions are a semiannual gathering of high school journalists and advisers sponsored by the Journalism Education Association and National Scholastic Press Association. WJEA Summer Conference: This three-day camp is a great way for programs to get a head start on the upcoming school year. Students choose a “major” and spend the bulk of their time being trained by a group of award-winning journalism teachers from around the state. Registration opens in March. J-Day Registration BW 2019 registration to come.